Valentine's Day is around the corner. If you haven't already picked up something for that special someone in your life or if you are on a budget this year, be sure to head on over to your local Shoppers Drug Mart for some really great deals that's perfect for last minute shopping. Exclusively at Shoppers are delicious and affordable sweets from Carnaby Sweet. 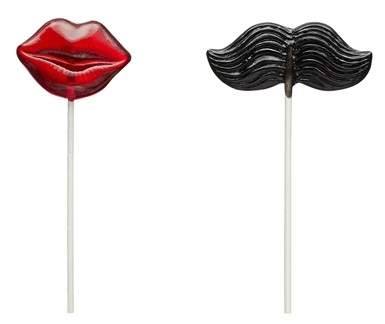 They have everything from his and her lollipops to chocolate heart lollipops and sweet and sour gummies for all under four bucks! You can't beat that. I for one am a chocolate lover. It's one of my weaknesses. If you give me chocolate for Valentines or any occasion, I'll love you forever. I got to try some of the Carnaby chocolate and absolutely loved it. It was rich and smooth and I gobbled it all up. 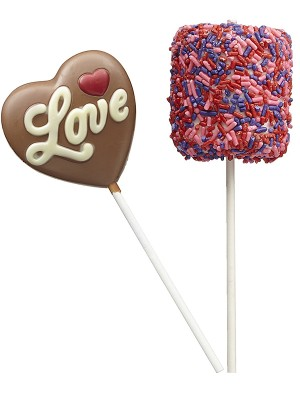 My favorite had to be the chocolate love heart lollipop. Not only can you give these treats to your significant other on Valentines, but these would also make great little treats you can give to your kiddos or if your kids want to bring treats for their classmates on Valentines, all of the Carnaby Sweet products would be perfect and affordable. You could even head on over to your local dollar store to pick up a cheap basket and then head to Shoppers and add some of the Carnaby Sweet candy to make a beautiful gift basket for your Valentine without spending a lot of money. Disclosure: All opinions are my own. I received samples in exchange for sharing this gift guide. No other compensation was received.